At Numeric Accounting we offer a full range of accounting services to the construction industry across the UK. We understand the construction industry is like no other business and has very specific and unique accounting requirements. Building projects can last for years and payroll, compliance and accounting can be complex. We’ve worked with residential and commercial builders and developers for decades and we fully understand the financial issues faced in the construction sector. Our specialist construction industry accounting team will ensure contractors and sub-contractors meet the regulations set out in the Construction Industry Scheme (CIS). We have extensive knowledge of CIS and can help advise you. We take the pain out of construction industry accounting and explain everything to you in a straightforward way. We can ensure your CIS systems are well managed and we’ll give you tax saving advice to maximise job profits. We offer a cost-effective accounting solution and business advisory service to help construction businesses stay compliant and grow. We can offer advice on accounting processes or deal with all of your tax and accounting needs ourselves. Get in touch with our experts today to stay compliant, minimise risk and save on tax. We offer a range of flexible accounting packages to suit you and your business needs. Our construction industry accounting experts will keep you up to date with the constant changes in accounting and tax legislation that are prevalent in this industry. We are always one step ahead of the curve. Whatever construction trade you are in, we can help with your accounting needs. Trades people we work with include builders, developers, contractors, plumbers, electricians, roofers, project planners, scaffolders, bricklayers, carpenters and glaziers. We also offer specialist accounting services for sub-contractors. With our expertise in the construction industry we can help provide you with the management information you need to solve problems and make the right business decisions. When business is tough we can help you re-organise and cut costs. Our expert professional team have helped small building firms and multimillion pound businesses in the construction sector. We understand the contractual processes and can advise you on the appropriate financial controls. We can help you with the important management information you need, such as turnover reconciliations, WIP reports, debtor reports and P&L analysis. With accurate and up-to-date information, you can make the business decisions you need to boost profitability and increase capital value. We know how confusing it can be speaking to lots of different people when it comes to accounting advice. We offer a dedicated account manager so you have one point of contact from the start. We value our reputation for exceptional customer service and we will always do our best to get back to you with any enquiries within 24 hours. 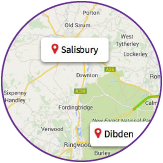 Numeric Accounting has offices in Salisbury, Wiltshire and Dibden in Hampshire. We offer a full range of professional accounting services to all business in the construction sector. If you want peace of mind that your complicated accounting processes are being taken care of, your business is fully compliant and tax and returns are being paid and submitted on time, get in touch with our construction industry accountancy team today. Call us now on 01722 334888 (Salisbury) or 023 8084 4242 (Southampton) and one of our team will help you with all of your construction accountancy needs. Alternatively, drop us an email at salisbury@numericaccounting.co.uk or dibden@numericaccounting.co.uk and we will get back to you as soon as we can.